Adapt Help Desk solution, built on O365 and SharePoint helps companies to setup internal help desk to manage employee issues centrally. Businesses face regular issues and employees need a platform to report and address these issues. The issues could be of any type such as functional, operational or technical and could be for any department. Adapt Help Desk enables employees to quickly raise or report a new service request and enables companies to automatically route it to the respective departments. The automated solution helps streamline and optimize operations which results in providing timely resolutions to the service requests raised by employees and eventually leading to greater employee satisfaction. Help Desk allows you to report an issue to concerned departments or location. One can setup multi location help desks where tickets will be auto routed. One can attach documents or images to support your reported issues. Upon resolution, the reportee can re-open the ticket if the resolution is not satisfactory. A user friendly interface allows users to take action on the tickets with just one click. Instant chat module allows user to interact and send messages instantly and one can see the complete history of Chat. 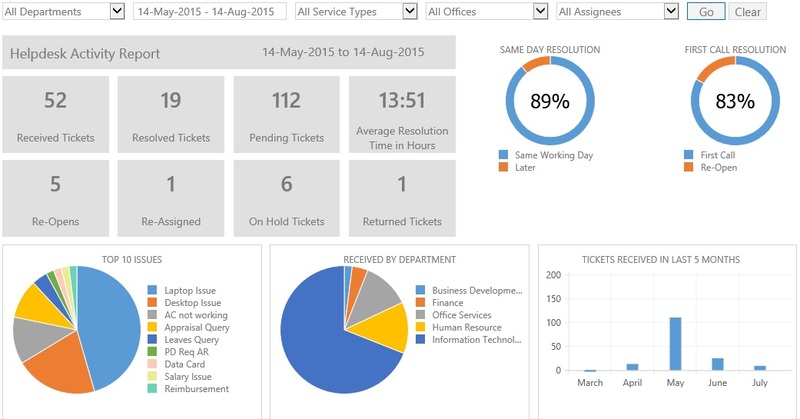 Help Desk solution allows employees to track their service request. 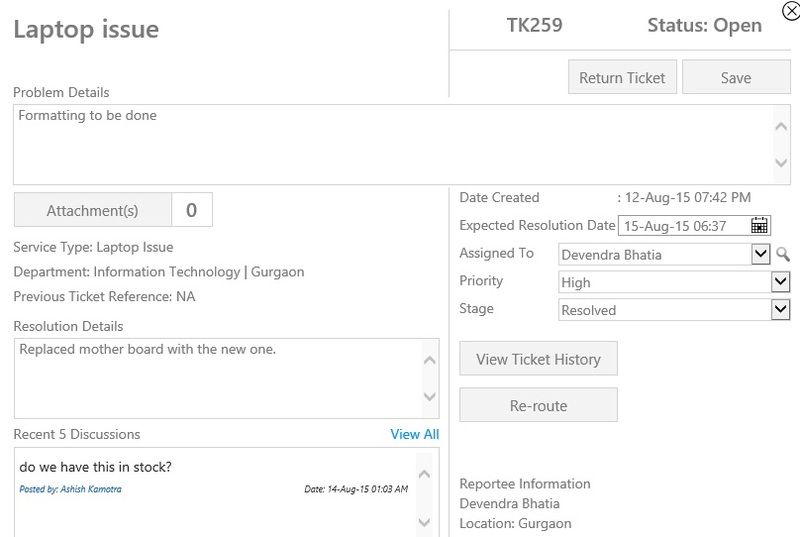 The unique ticket can be tracked for the status of the service requests as it goes through the resolution cycle. Status gets auto-updated based on the actions taken on the ticket. The ticket can be tracked by the employees, service coordinators and the management as well. This helps management to track the ownership and accountability of all the service requests which have come to the departments’ basket. For every action taken, one can see complete history of the ticket with just one click. Adapt Help Desk Dashboard provides a graphical representation of all the issue reported. It provides a real time insight to the management for measuring the efficiency of the support team as well as keeping a track of the prevalent bottleneck in the functioning of the departments and define parameters for better employee satisfaction. Track the turnaround time that your organization takes to resolve employee request. Help Desk Add-in by Adapt supports all major languages that your keyboard supports. This includes Arabic. The system is flexible enough to support multiple languages within same company. That means if you are having offices in different countries and your users want to work in the language of their choice, you can setup that easily.